I picked this up on a whim from Poundland as I was browsing the beauty section. It looked pretty interesting, and it was nicely packaged and by a known brand so I bought it. It’s an American product sold in the USA but as Poundland is American owned, they often have US products available which is kind of exciting! 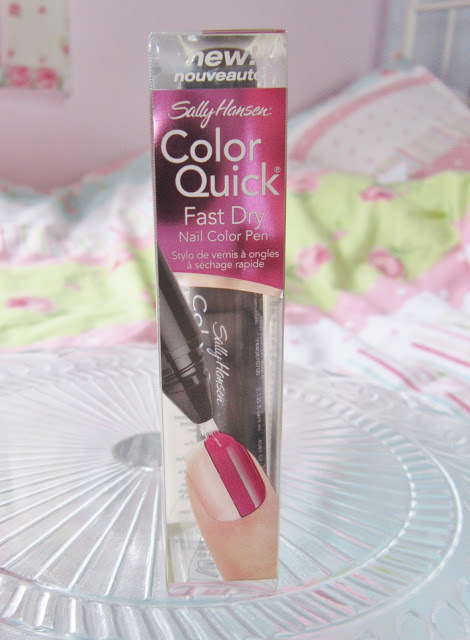 Anyway, this is called the Sally Hansen Color Quick Fast Dry Nail Pen, and I picked it up in fuchsia chrome. 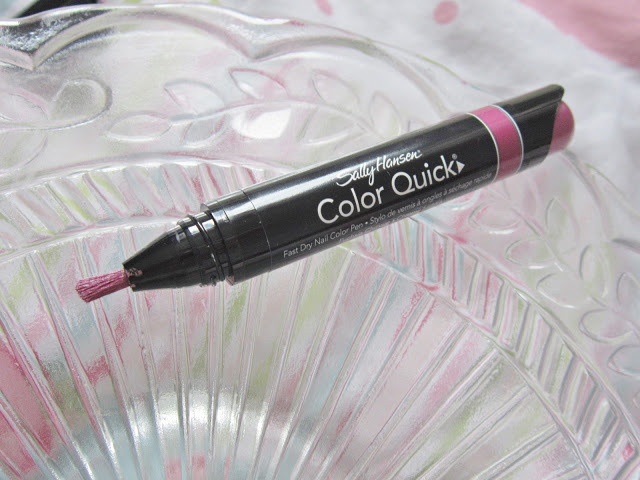 To use it, you just click the top to dispense the colour, and then you gently brush it on and go! It has a very fast-drying formula, it dries in under a minute. The handy application makes it really easy to use, although the brush isn’t the best. It’s a little bit wide and ‘untidy’; not very sharp. It says you can apply up to 2 coats of colour, but it seemed to work perfectly with just one coat. You simply reclick the top of the pen to dispense more colour, and when you’re finished put the lid back on. It’s really easy to touch up on the go too, it’s spill proof! It leaves no mess, and it’s just a really nice product to use. The colour of this is a dark-ish plumby metallic sheen pink, which is quite a nice colour for Autumn. My only negative is that it scratches off quite easily, so a tough top coat is advisable. So the colour isn’t that lovely to look at, Poundland also had silver chrome in stock. But it’s a really interesting way of applying nail polish, and personally I hadn’t seen anything like it before! Have you seen these in Poundland, or anything anywhere similar to this? 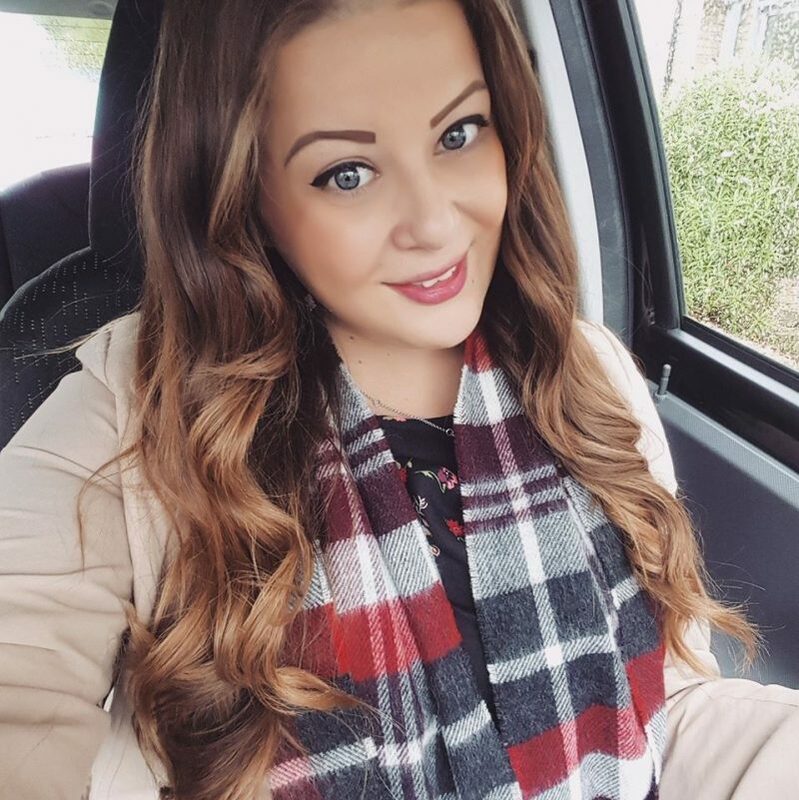 I’d love to try another colour! You can buy some different colours from Fragrance Direct and eBay. haven't seen these! love the beauty bargains in poundland though. does it feel weird applying it with like, a pen? Ooh i haven't seen this in poundland, but it looks fun! What a strange way to apply nail varnish! Maybe we'll start seeing it from other brands too? 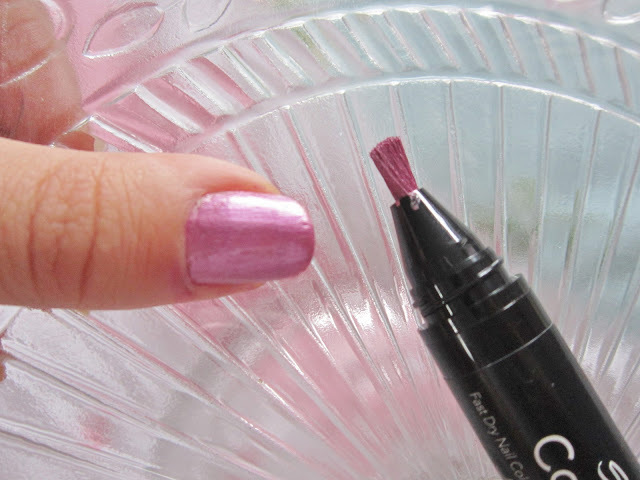 This looks like a really nice way to apply nail varnish,I'll be keeping my eye out for this!